Note: This is part of a discussion regarding the configuration of a Cisco AS5300 for T.37 Store and Forward Faxing. 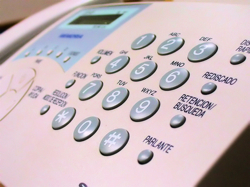 Unfortunately, the Cisco AS5300 does not have the ability to handle incoming fax processing without the help of additional software. You can download the app_faxmail_onramp TCL script from the TCLWare download area on Cisco's web site. A CCO login is required. Once the application is downloaded, copy it to your Cisco AS5300 per your usual method. For example, I have a TFTP server with all my IOS software and config backups handy. After placing the app_faxmail_onramp script in my /tftpboot directory, I can download it to the AS5300 with the copy tftp: flash: command. Now that the onramp TCL application is on the AS5300, you need to let IOS know about it. This gives us a local name (onramp) for our application, and will be used later when configuring dial-peers.